Clearly recognizable as a member of the AMG GT family, the new AMG GT 4-Door Coupe follows the design philosophy of Sensual Purity. 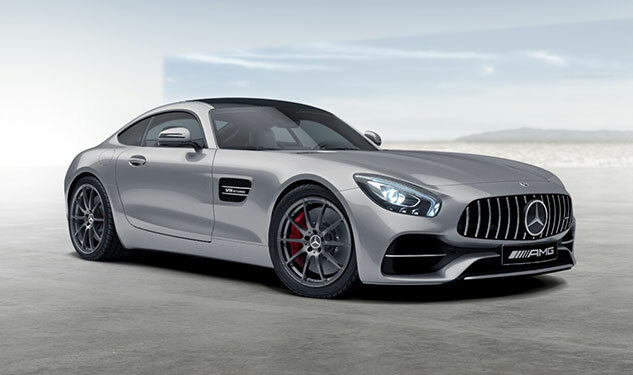 It takes the striking proportions with convex surfaces and a muscular body and develops them to exciting effect for a four-door variant of an AMG GT Coupe. The new AMG GT 4-Door Coupe offers an extensive portfolio of exterior equipment packages, which can be used to add different highlights in terms of design. The Night Package comprises high-gloss black trim, while, for example, the Chrome Package emphasizes the luxurious character of the car with trim and an insert in high-gloss chrome. The AMG SPEEDSHIFT MCT 9-speed transmission is specially tuned to the requirements of the eight-cylinder variants of the new four-door AMG GT. A wet clutch is used, which reduces weight and inertia and optimizes response. Extensively tailored software enables extremely short shift times, fast multiple downshifts and delivers an especially emotional gearshifting experience thanks to the double-declutching function. There is also a RACE START function, ensuring optimum acceleration. The interior of the new Mercedes-AMG GT 4-Door Coupe has another world premiere in store. For the first time an AMG car has its own fragrance. It is an appealing, sporty scent to match the spirit of the performance brand. The new AMG GT 4-Door Coupe can also be fitted with the ENERGIZING comfort control for improved driver-fitness safety. This system networks different vehicle functions such as the air conditioning system, seat control, massage functions, steering wheel heating and ambient lighting, in order to relax or refresh the driver and passengers in a targeted manner with predefined programs. The new AMG GT 4-Door Coupe celebrates its world premiere on March 6th, 2018 at the Geneva International Motor Show. Sales release of the first four- door AMG GT is in early 2019 for the AMG GT 63 and 63 S and in mid-2019 for the AMG GT 53.